The fact the PlusCoin has come to be referred to as ‘the cryptocurrency of the people’ is something that invites crypto communities to keep monitoring its progress. Courtesy of DS Plus — the leading platform for mobile loyalty promotion programs with PlusCoin integration, ordinary people now have a cryptocurrency to use every day in their businesses, wherever they are. Many businesses have joined the initiative as partners to make use of DS Plus’ PlusCoin powered loyalty programs. The platform boasts of having over 1500 partners, and this number is bound to rise in the coming weeks. With 21,000,000 PLC, already in the custody of real people, the PlusCoin presale is considered extremely successful. The ICO has already been rolled out, beginning September through early November, making it an exciting opportunity for the individuals, groups and even businesses to take part in it. Even without aggressive efforts in marketing, the cryptocurrency has already achieved an active user base of more than 90,000, and the number is said to increase by at least 250 on a daily basis. This is certainly a space to watch. Already, PlusCoin has become the household name among cryptocurrency experts, and international press will continue to highlight the innovative aspects of this transformative project. While Russia remains the original market for DS Plus, it is important to note that every effort is being put in place to accommodate the global community, seeing that PlusCoin is going global. To accommodate everyone (and especially those beyond the Russian boundaries), a user interface in the English language has been considered, and localization is expected in the Chinese language, ahead of the next release. Consequently, interested parties are encouraged to keep visiting http://pluscoin.io/, which is the official platform. However, it should be noted that to learn more about the PlusCoin Bounty campaign; one should sign up at https://bounty.pluscoin.io/. Joining the campaign is a straightforward process, and the platform has ensured ease of use by implementing a user-friendly interface. The PlusCoin development team has fixed all the bugs and errors before announcing the campaign, making all site interactions smooth and flawless. In the recent updates, the application’s notification feature has received an upgrade that enables users to get alerts for all transactions and special offers across the partner network. 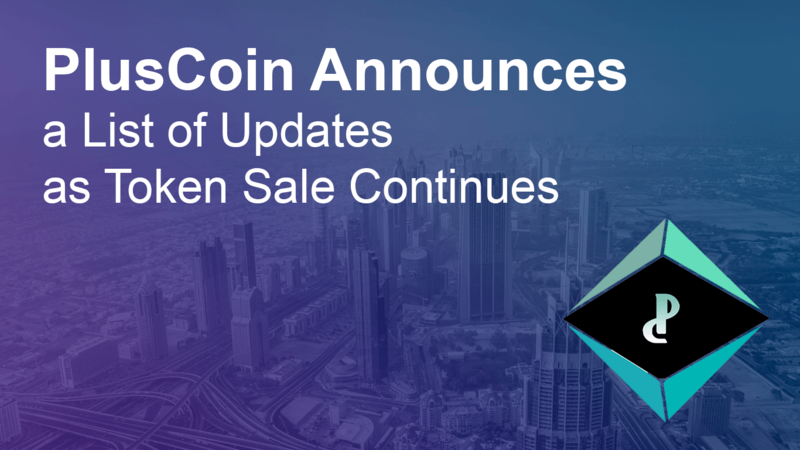 With the successful conclusion of the PlusCoin ICO, the platform will be channeling a portion of the collected funds towards growth and expansion purposes. The platform aims to open additional branch offices in November 2017 to facilitate the onboarding of new partners. During the same time, PlusCoin will be launching its own exchange platform as well. By the end of December 2017, PlusCoin will take the marketplace experience to the next level by introducing new features, including integration of online stores into the trading platform. PlusCoin has also laid out its plans to launch its P2P commerce trading platform in January next year as a part of its roadmap for Q1 2018. The following month will witness the integration of “Bestchange” for buying goods and services from partners who have not embraced PlusCoin. March 2018 will mark the implementation of a scoring system. In Q4 2018, it will launch its P2P credit platform, allowing users access to cryptocurrency loans. Further developments during the second half of 2018 will be announced at a later date. Apart from the official site, the platform will provide constant updates about the new developments on Facebook, GitHub, DS Plus App Site, YouTube Channel, Bitcointalk, Viber, as well as PlusCoin’s Telegram Chat or Telegram Channel.